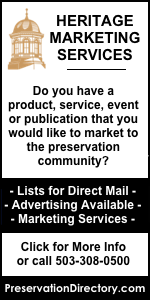 Welcome to PreservationDirectory.com - the online resource for historic preservation, building restoration and cultural resource management in the United States & Canada. Our goal is to foster the preservation of historic buildings, historic downtowns and neighborhoods, cultural resources and to promote heritage tourism by facilitating communication among historic preservation professionals and the general public. salvage, restoration suppliers, and historic consultants. and historic inns in North America. Historic tour services and heritage tourism resources. cultural resource preservation available on the site. to typical questions we recieve on a variety of topics. Looking for employment in preservation-related fields? Please note, many other articles and press releases can be found on our "Preservation Blog" - to view all of the news items related to historic and cultural resource preservation, please click here. Looking for a job, internship or grant-funded position in historic preservation or cultural resource management? Jobs and internships are posted to the "Press Releases & Job Postings" area on a regular basis, and recent positions (last 2-3 weeks) are highlighted here on our homepage for your convenience. Job listings are also posted to our Facebook page and Twitter feed (click links to join). Looking for employment in preservation-related fields? List of resources for those seeking employment and internships in the historic and cultural resource management fields. Do you have a job opportunity or internship in historic preservation, cultural resource management, building restoration, architecture and design, etc. that you would like to post on our "Press Releases & Job Postings" directory? 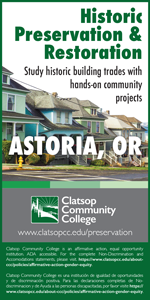 Click here to post your historic preservation and/or cultural resource management job opportunity. HistoricForSale.com - Partner Historic Real Estate Website of PreservationDirectory.com. The site focuses solely on historic real estate and provides resources for those selling historic homes and those looking to purchase historic homes. HistoricForSale.com is a separate website that works closely with PreservationDirectory.com's current historic real estate directory to maximize exposure for the wonderful historic homes for sale, as well as our directory of real estate agents who specialize in historic real estate. Both websites share the same database, allowing HistoricForSale.com to tap into the vast network established over the last 10 years through PreservationDirectory.com. HistoricForSale.com features a professional design, easy-to-use interface, 24/7 member area for editing/tracking listings, featured property area, and much more. In addition, those seeking to list on either site will have the option of listing, for a small additional fee, on both websites. For more information about listing on our HistoricForSale.com, please click here. To Join the HistoricForSale.com Facebook page, please click here. The Preservation Press Releases & Job Postings directory serves as a collection of articles/notices/releases on a wide variety of topics of value to the preservation community, including restoration techiques, historic preservation and cultural resource job listings, the historic nomination process, museum exhibitions and news, preservation legislation, historic travel and heritage trip ideas, and endangered or threatened historic sites and homes. To view the main Preservation Blog directory, please click here. To submit articles for consideration in the above topics, please click here. Thanks to All in the Preservation Community who have added photos to our online gallery of historic places and structures. More photos to come - please check out our gallery of photos from historic places by clicking here. Do You Have Photos of Your Historic District, Historic Village, Town or City, or Other Historic Structures and Places? Share your photos with our visitors on our "Historic Photo Gallery" Directory. We will include any descriptive text you provide for any/all photos, we will provide photo credit, as well as provide a link to your email and/or website if you wish to include this information. For More Information, please contact us via our online form. Please click here to access our form. Learn how to list your historic home, historic structure or other historic building for sale on our website. We accept listings from homeowners and real estate agents - the only criteria is that the house, building or structure be at least 50 years old to be considered historic. Do you specialize in historic real estate? Please consider joining the "Unlimited Property Listing Program" - this program allows you to pay one yearly fee and then submit as many listings as you like during the 12 month period while your program membership is active. In addition, you will also receive a complimentary Agent Directory listing while your membership is active. For more information, please click here or contact us for more information. Would you like to receive monthly email updates highlighting new properties added to our site? We send a monthly email update each month - learn about new properties added, get updates about the historic real estate for sale directory, resources for agents who specialize in historic real estate, and learn about other information related to historic real estate. Click here to sign up for the free monthly email historic real estate update. We are happy to introduce a new option for Realtors® and agents who would like to list an unlimited amount of historic homes, commercial buildings and other vintage structures for sale. By using the secure online form or by calling us at 503-308-0500, you will be able to pay a yearly fee upfront and instantly be able to list as many property listings as you like for a 12 month period (properties must be at least 50 years old or older to qualify; they need not be on the National Register or have any other historic designation to qualify). Please note that our standard 2 month / 6 month / 12 month listings will remain, as this is just another option for those with multiple listings. For pricing and more information, please click here. We are happy to announce that we have launched a companion page on Facebook (www.facebook.com/preservationdirectory), as well as a Twitter (@historicpres) page, to spread news and information of interest to the preservation community. The focus of our social media groups will be disseminating historic preservation-related news and policy alerts; job postings for museums, architecture firms, and organizations; historic homes for sale; and photos of historic places and structures. The goal will be to use the networking expertise of Facebook and Twitter to keep members aware of preservation news, job information, and policy alerts. These tools will allow us to reach members instantly with late-breaking historic preservation news. We are also very excited to be able to alert our members to job listings as soon as they are added to PreservationDirectory.com. In addition, we will be featuring historic homes for sale every Wednesday, as well as highlighting our business partners twice a month, and featuring the wonderful historic hotels/inns/B&Bs listed on our Historic Lodging Directory twice a month. Check our "Preservation Events & Conferences" directory for information on upcoming events, conferences, trade shows, and other events related to historic preservation, cultural resources, and restoration. Constantly updated, the directory typically lists 150+ events for the coming 12-18 months in the world of historic and cultural resource preservation. To access the events directory, please click here. Have an event you want to list? There is never any fee to list events, and you may use our convenient online form to submit your event information. To access the form, pleaes click here. Looking for a Job in Preservation? We maintain a popular and always-up-to-date directory of employment opportunities at museums, historic societities and historic preservation-related organizations, internships, university positions, and other jobs in the field of historic and cultural resource preservation. To View our Directory of Jobs in Preservation - click here. To List a Position or Internship in Preservation - click here. NEW - Would you like to receive weekly notices of new preservation job postings to our site? Click here to sign up for our new Preservation Employment Email Updates. NEW - We recently launched a separate blog for those looking for jobs in historic preservation and cultural resource management. Click here to view the new blog. We are pleased to announce the availability of a free comprehensive resource guide for historic and cultural resource preservation. The title of the resource guide is "Preservation Resources on the Web". The comprehensive resource guide presents primary online resources in the field of historic and cultural resource preservation. 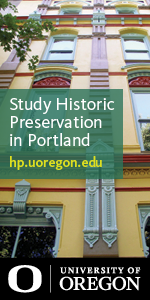 Topics include researching your historic home; funding sources and tax credit programs available; utilizing your State Historic Preservation Office (SHPO); finding an undergrad/graduate program in historic preservation; historic real estate resources online; preservation event/conference directories; and much more. To request a free copy of the presentation, please click here to contact us. We are unable to send hard copies, so please include your email address and we will email you a pdf copy of the preservation resource guide. We have identified the best publications for historic and cultural preservation. Our online bookstore features titles in the fields of historic preservation, building restoration, downtown and mainstreet revitalization, historic real estate, endangered history, and museum management. To view the bookstore, click here. Interested in having your book featured? For your book to be considered for inclusion on our website, please send a copy or sample to PreservationDirectory.com, 30 Bromley Road, Pittsford, NY 14534. There is no fee to be listed, but we need to review the publications before placing them on our website. If you have questions or concerns, please don't hesitate to contact us at anytime. Interested in providing critical assistance to our mission of providing comprehensive resources for the historic and cultural resource preservation community? The site is going strong and we are excited for another great year in 2009, but your support goes a long way towards helping our mission. Here are a few other ways that you can support our efforts - your help is most appreciated! - Purchase Books Featured in the "Preservation Bookstore". We receive a small percentage of the great books listed in our bookstore - click here to view the bookstore. - Clicking on the Google AdWords on the sidebar of our website (directly below our contact information). We receive a small percentage of the click-thru fees, and we have worked to keep these non-intrusive. 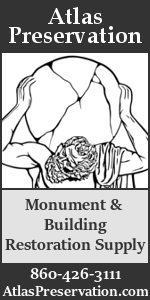 We encourage you to click on some of these ads each time you visit PreservationDirectory.com. - Support the paid advertisers listed on our website. We provide listings for preservation-related businesses, historic homes for sale, and historic lodging (inns, bed and breakfasts, and hotels) in different sections of the website. These paid listings provide key support to our website and we encourage you to support them. - Consider listing your preservation-related business, your historic property for sale, or your historic inn, bed and breakfast and/or hotel. For more information, please click on the links above or contact us for more information.